Your wedding is a major event and one of the most important milestones you will experience in your life—exactly why you want your day to be as perfect as possible. Oftentimes, weddings tend to be lavish and expensive events. Although today’s brides consider scaling back their plans to fit within a reasonable budget, the average wedding costs still add up to nearly $30,000—and with a hefty investment, many are apt to secure special coverage and protection for this highly personal event. 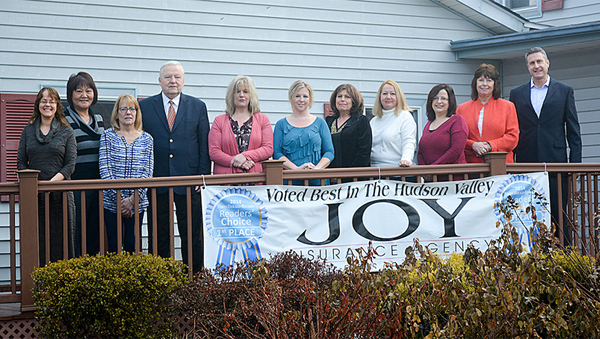 As with all of the policies we write here at Joy Insurance Agency there is no one-size-fits-all approach. Each couple and each wedding is unique. However, having comprehensive wedding insurance, that matches your specific needs, certainly can offer you protection against unnecessary expenses if by chance your celebration was cancelled or postponed. Our customized wedding insurance packages can include additional protection as well, whether you are looking for gift coverage the day of your big event, special attire coverage if you rented a variety of suits and tuxes or even jewelry coverage for luxurious accessories and most importantly— your wedding bands. At Joy Insurance Agency we want you to feel confident the day of your special event, and with our distinctive wedding insurance packages, we aim to provide you with the peace of mind that comes with knowing that what matters most to you is protected. Contact Joy Insurance Agency today! We’d be happy to offer you a free coverage evaluation and help you best determine what aspects of your special event would benefit most from our superior wedding insurance!